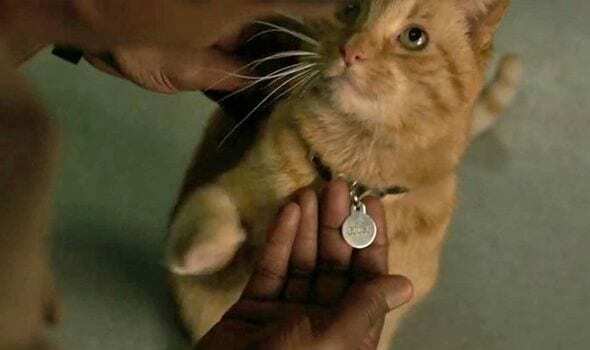 HomeFandomMarvel-ous Monday: Who is Goose (AKA That Cute Cat from ‘Captain Marvel’)? 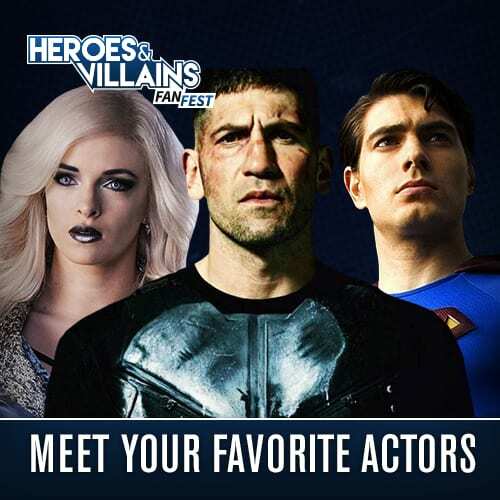 Many assume Chewie underwent a re-branding when the brass wanted to feature his character in Captain Marvel’s standalone film. Making his first appearance in the 2006 book Giant-Size Ms. Marvel #1, Chewie brings some comic relief to the Marvelverse in only the way a cat can. 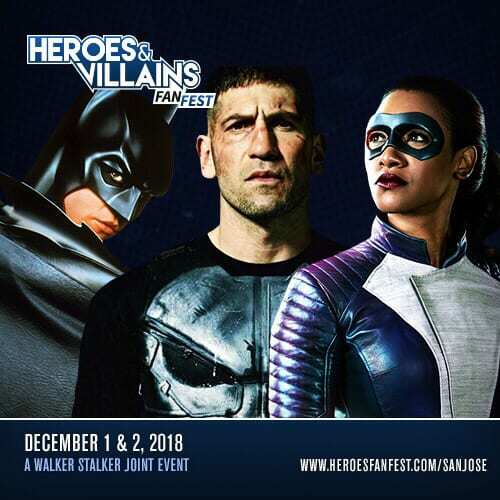 To make more of a play on the whole air force/military theme associated with the film/franchise, it is assumed Chewie is now named Goose after Anthony Edwards’s Top Gun character with the same name. 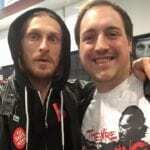 Many writers and fans have let their theories be known on Goose’s role in the MCU, but let’s stick with some facts. First, Chewie is actually not a cat; instead, he is a flerken. 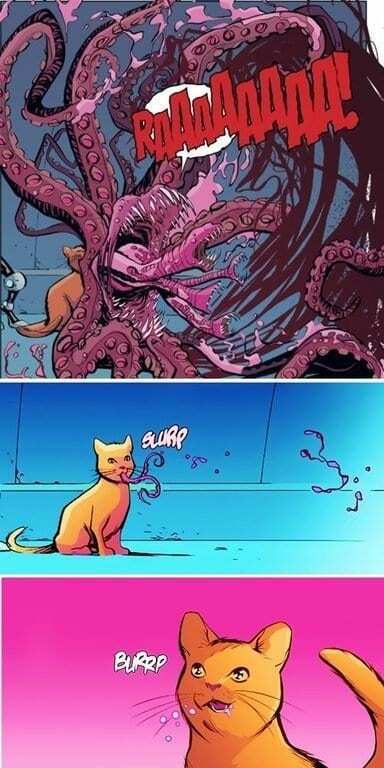 Although he may look like a typical cat, a flerken is an alien animal with crazy tentacles, teeth, and attitude. These cute critters can survive in space and are notoriously known for being skittish and dangerous (i.e. much like a regular cat). Flerken are just as smart as human beings and can understand our conversation; however, flerken are not known for their ability to talk or anything similar in terms of verbal communication. The species is not uber populated in the universe, so Chewie is a bit of a rarity. Another crazy fact is that flerken lay hundreds of eggs to have offspring. Have you ever heard the expression about your pet’s mouth being cleaner than a humans? 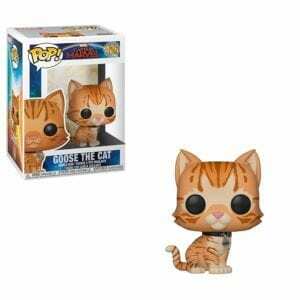 Well, I think it is safe to say that is NOT the case with flerken. Most of their “power” is associated with their mouths. Their mouths can sprout tentacles with sets of teeth and consume nearly anything. Not only are their mouths dangerous, but they also contain pocket dimensions, which are bubbles of reality one can teleport through. 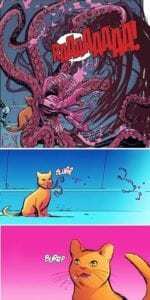 Wait, you can travel through the mouth of a flerken? Technically, yes, but it is not ideal. 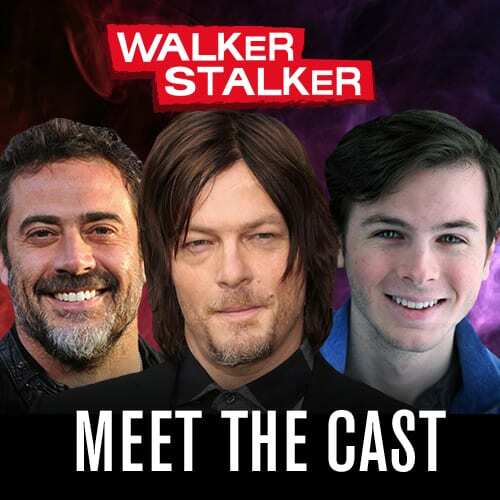 Think of it as a really wet, gross subway that smells like the inside of a cat’s mouth. These pocket dimensions are portals between realms and time, so our little “gatekeeper” is much more than just a fuzzy friend. 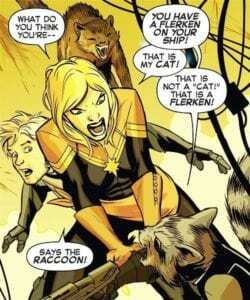 As previously referenced, Chewie made his comic debate in Giant-Size Ms. Marvel #1, which serves as one of several Carol Danvers origin-like stories in her climb to the Captain Marvel moniker. 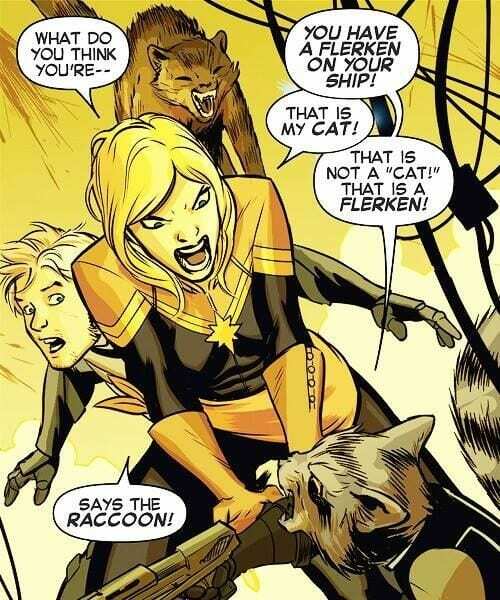 In the story, Carol meets up with the Guardians of the Galaxy, and Rocket Raccoon spots Chewie. Knowing its true form, Rocket immediately tries to dispatch the creature. He informs Carol of the flerken species and is adamant about killing Chewie before it can lay eggs. Such drastic action as a result of caution and fear is likely why the flerken race is depleted. Regardless, Carol stops Rocket’s hunt and brings Chewie with her to safety. Well, it turns out Rocket was correct in Chewie’s plan, and Carol finds over a hundred eggs about to hatch on her ship. Eventually, Carol drops the offspring and Chewie off on another planet, but Chewie teleports back into Carol’s life; thus, a friendship is born. Early screenings of Captain Marvel have revealed audiences love Goose, and his stardom in the MCU is displayed through various collectibles already gracing the shelves and desks of fans. One word that is not often associated with Nick Fury is loving, so Samuel L. Jackson’s high-pitched banter while petting Goose in the trailers promises to be something special. For a pre-Avengers Initiative Fury, maybe an altercation with a flerken will make him a bit more reserved in the presence of other-worldly beings. 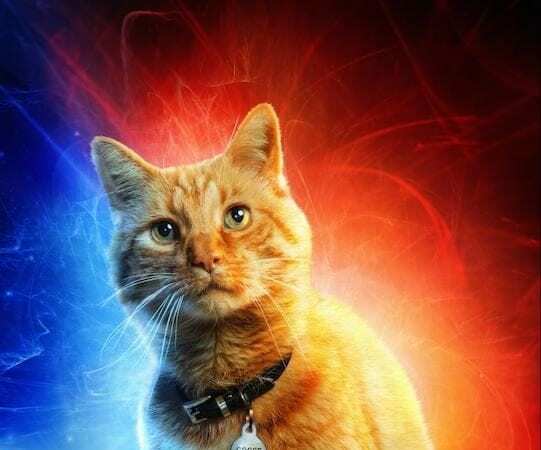 Nevertheless, I hope we get to see a lot of Goose in all of his flerken-goodness come March.